Summer is heating up, and football season is on its way. While next generation consoles have been announced earlier this year, fans can still expect at least one more great release for their favorite sports titles on the current generation of video game systems. It is because of this that the return of NCAA Football from developer and publisher EA Sports seems so fitting this year more than ever with its best offering yet. 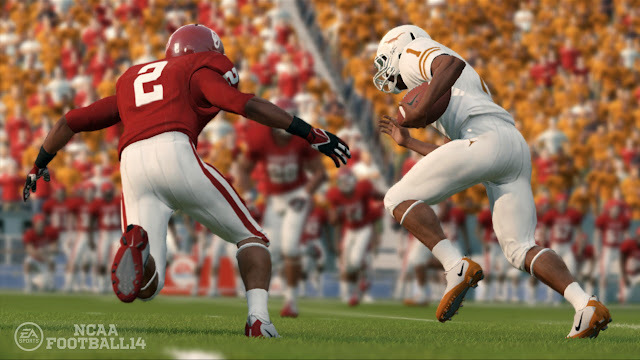 NCAA Football 14 offers the most features ever included in the annual franchise including the incredible physics of Infinity Engine 2, though NCAA Football 13's release just missed out on the release of the original Infinity Engine. There have been tons of other refinements added to the game including improved run blocking and option based offenses, additional RPG elements and other enhancements for the beloved Dynasty mode and tweaks to the all new Ultimate Team mode featuring the greatest players from college football's history. NCAA Football 14 ensures college football will go out with a bang on current generation consoles while offering fans of the sport plenty of reasons to pick up this year's version of the game this month. NCAA Football 14 features former Michigan star and current offensive weapon for the Jacksonville Jaguars, Denard Robinson. This is important to the new release not only for an amazingly artistic cover design and for the pride of Michigan fans, but also because the newest version of the NCAA Football franchise boasts significant enhancements in the running game and run option offense that has quickly become so prolific in both the NCAA and NFL games. Shortly after kickoff of a game, gamers will notice the improved run blocking by the game's offensive linemen whose absence have made it far more difficult to run the ball out of any formation in past games. New features and controls have been added to ball carriers as well to give gamers total control over the players on the field. The right analog stick controls most of the action from a simple juke left or right to chaining together spin moves and jukes for the ultimate highlight reel evasions. Hurdle button returns along with an improved truck stick and stiff arm, though most gamers will ignore power running as it hasn't worked well in prior releases. The option game has also been significantly improved to allow players to more easily read defenses to decide when to hand the ball off to the motion man, pitch the ball to a back or keep it himself. Choosing option offenses in the game is now more desirable than ever before, and you'll need a bit of blind luck to stop opposing offenses running the option, so good luck with that! Other gameplay and presentation features have been enhanced for gamers in NCAA Football 14 as well. The biggest addition is the inclusion of Infinity Engine 2 in the NCAA Football series. The new physics take over on each play to allow for a nearly endless supply of character tackles, stumbles and collisions in each game. Catching animations have also been improved to allow receivers to go up and fight for the ball with defenders in tight coverage or to drag the toes on sideline catches. However, there were some moments when animations had severe clipping. Gamers can also will their player to fight for extra yardage while falling to the turf or quickly recover from stumbles with the flick of an analog stick. Though the game's sidelines remain roughly unchanged, there have been some new player animations on the field for celebrating big plays as well as some other new sights and sounds. Lee Corso and the gang return for the biggest college football games every weekend or in quickplay, while other announce teams (or no announcers at all for non-televised games) cover the lesser games of the week. New camera angles have also been added to the new release, though most gamers will still opt to go with the default camera angles or widescreen views. EA Sports is constantly striving to give their fans the greatest variety of content for their money each year, and NCAA Football 14 is no exception. The highly popular Dynasty mode returns again this year to allow gamers to take control of their favorite university or Alma mater offline or in online leagues. The gamer will still have a say in nearly every action of the school from controlling the players on the field to recruiting players off the field as the football program's head coach, but there are plenty of new features that make NCAA Football 14's Dynasty mode the definitive version of the mode. The previously mentioned recruiting has been greatly improved to allow gamers to set a weekly budget of recruiting points to spend with each recruit each week and let the computer take over from there. Points can still be changed from week to week to ensure a top recruit is happy, but the lengthy process is now a thing of the past with the game's new features. Coaches also receive experience points and can level up during the season based on different outcomes of football games, recruiting and other aspects of the collegic season. Coaches then earn skill points that can be allocated to different levels of skills for varying effects including better ability to recruit players to improving player progression in the off season or improved statistics on the field in each game. The new RPG elements are a very welcome addition and one of the coolest new features included in NCAA Football 14. Ultimate Team has also made its way into NCAA Football 14. In the new game mode, gamers will take control of all-time college greats through purchasing packs of cards and unlocking players to assemble the perfect roster. The game mode features over 1,400 unique college stars from the history of the sport including last year's cover athletes from NCAA Football 13 and Madden NFL 13 Barry Sanders, Robert Griffin III and Calvin Johnson. Gamers must choose their respective colleges wisely when creating a new Ultimate Team; the choice will not only affect the jersey and helmets of the players but also the first playbook and chance at rare cards received in the first Ultimate Team pack of cards opened. Once an Ultimate Team has been assembled, gamers can begin completing in-game Challenges or join an online community in Head-to-Head Seasons. Each season in Ultimate Team mode last for 10 games and include playoffs where one team is eventually declared the champion of the league. Additional coins can be earned in both challenges and games during the season to unlock additional packs of cards and more players. 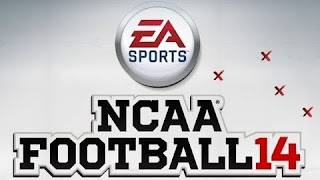 Gamers can also download the NCAA Football 14 demo for a chance to nab an additional two packs of cards in Ultimate Team mode as well as an exclusive item for the game mode, and players can look for more content and chances to earn cards throughout the entire college football season from EA Sports. Ultimate Team is lots of fun and has a bit of nostalgia to days of cardboard and bubblegum while searching through packs of cards, trading with friends and buying and selling cards with others online to find your favorite players. Other game modes return here as well including Road to Glory, where gamers take control of a high school star playing for a chance to win a state championship on into the college ranks shooting for a BCS Nation Championship and a Heisman Trophy to boot. Mascot games are still available for a few laughs and bragging rights between friends as well. Along with the offensive improvements, defenses have received a boost too including improved play from gamer controlled defensive backs and an ability to drive offensive lineman back into the backfield to disrupt passing and running plays with powerful defensive linemen. Xbox 360 gamers can gain access to even more features with Kinect while calling plays or audibles in-game or using the camera's precise recognition skills to put the gamer's face on a player in NCAA Football 14, though it will still be up to prerendered graphics to see how accurately the gamer is portrayed. Longtime fans of the series will be happy to learn exporting draft classes from NCAA Football 14 to Madden NFL 25 is now supported by the full release as well. 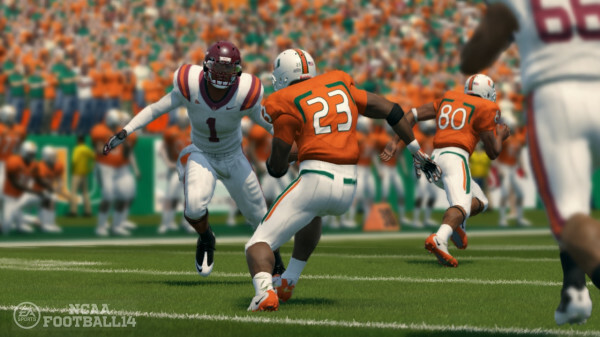 There are so many new features crammed into NCAA Football 14 that it would be impossible to name them all, but needless to say, this a release college football fans will want to pick up this Summer. NCAA Football 14 is easily the finest release the series has ever seen. The NCAA season may not kickoff until the end of August, but for fans of NCAA Football, the season begins now. 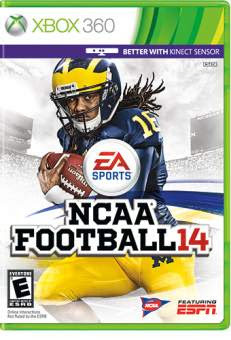 Pick up your copy of NCAA Football 14 for Xbox 360 or PlayStation 3 today! NCAA Football 14 is now available from all major retailers for the MSRP of $59.99 and can be purchased for PlayStation 3 and Xbox 360. NCAA Football 14 is rated E by the ESRB. 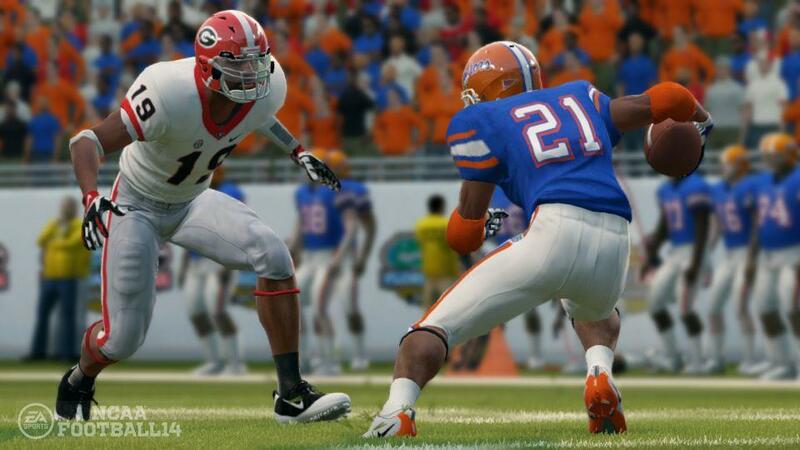 For more information on the game, check out the official NCAA Football 14 website.